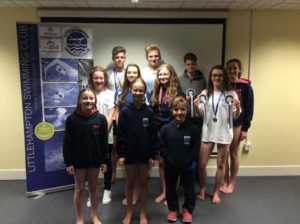 Congratulations to all our County swimmers so far. You have produced some brilliant swims with Pbs, medals, Regional Times and Club Records. We are now looking forward to this weekend and more of the same – Go Team! Full details will be posted after the final weekend of swimming.